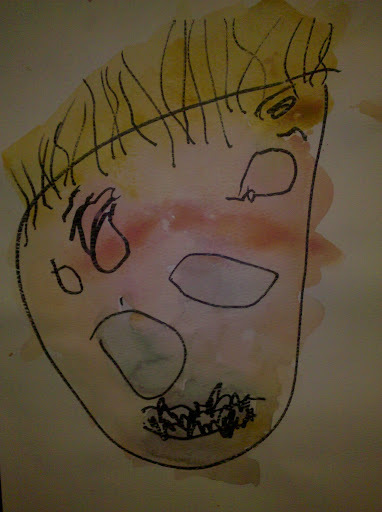 For our study on identity this year, I decided to focus on self portraits. 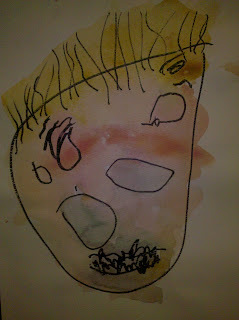 To begin I encouraged all the children draw a picture of themselves from memory (some refused). 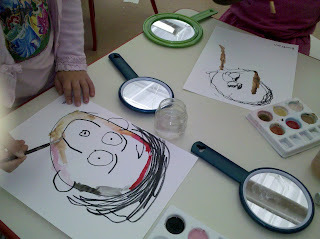 Next I had the children who were really interested draw another self portrait this time using a mirror as reference and pointing out some basic features. I photocopied their drawings onto watercolor paper and then they painted them. I love this picture, I look like an old man. 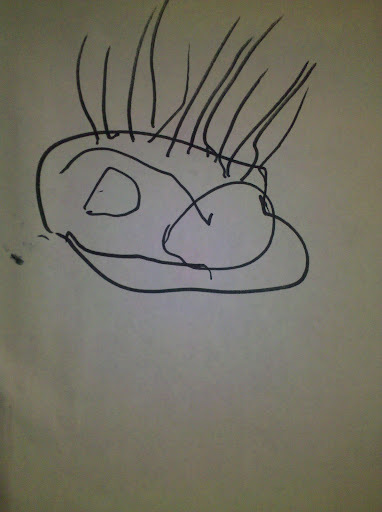 My picture is cool, I have a British voice. My mom combs my hair and it hurts a little bit but I don't cry. This one doesn't look like me, can I do it again?